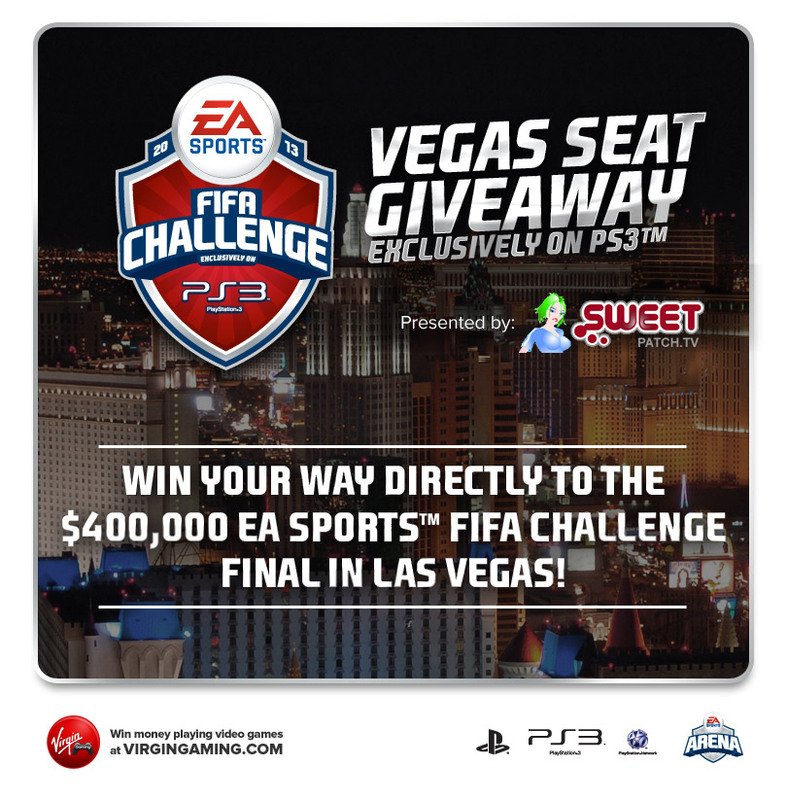 Last weekend our partners at Virgin Gaming offered you one last chance to win a seat at the $400,000 Virgin Gaming FIFA Challenge Grand Final in Las Vegas on February 9th, courtesy of Sony. 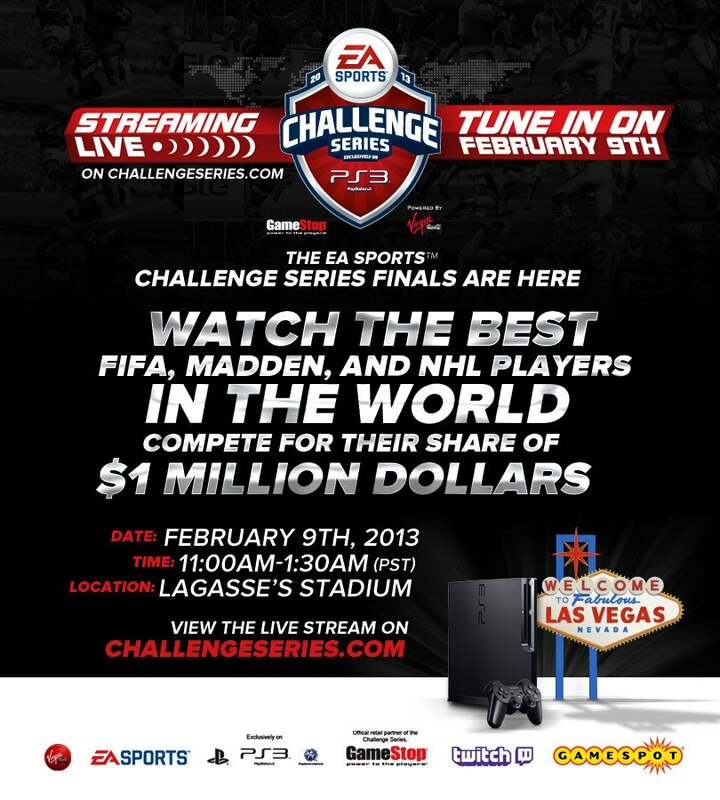 16 lucky winners from last weekends qualifiers compete on Saturday 19th January for the one place in Vegas! The Final will be live and ready to go at about 16:00 UK time! So who is your favourite to win? 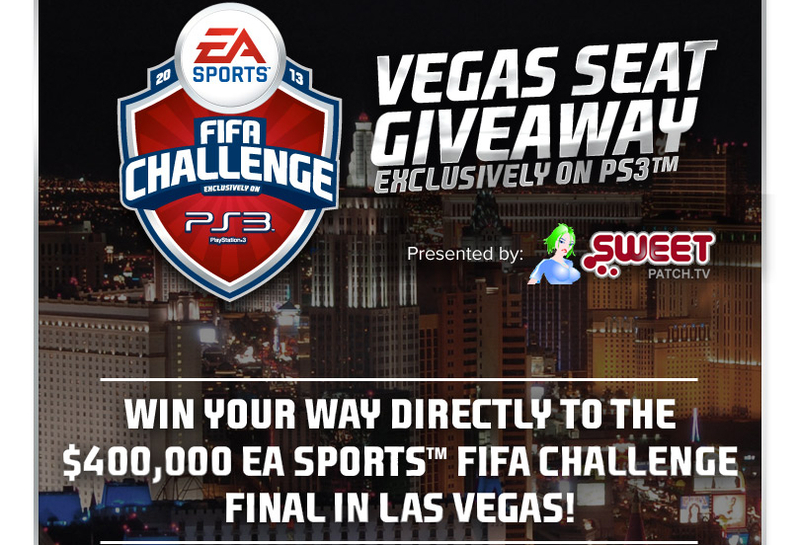 The Grand Final in Las Vegas on 9th February 2013, will see 256 finalists battle it out in the annual FIFA 13 tournament exclusively on PlayStation 3 to decide which player walks away with a massive $140,000 grand prize. 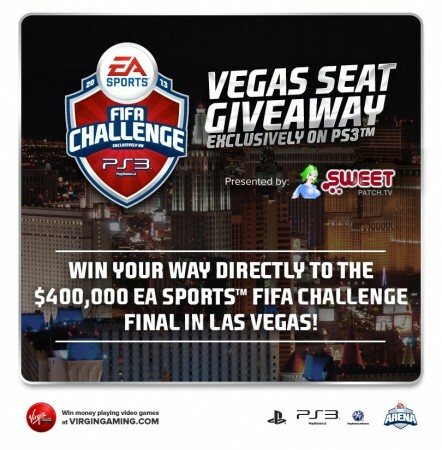 Last year UK FIFA champion Adam Winster walked away with the massive winners cheque for $167,000, can you do it this year? Winning just two games guarantees a $1,000 payday. Final Sat Jan 19 7:00 PM Hello Vegas! The tournament bracket and full details can be found here. The Grand Final between iCrossyXx (Matt Cross) and AcerPoldi (Sascha Schumacher) can be watched below (many thanks to Sascha Schumacher for this).